Crimson Trace LG325 Lasergrips Chrtr Arms Revlvr Red 633nm .50@50ft Blk in. The Crimson Trace Lasergrips platform is a decisive tactical advantage for handguns and changes the way gun owners approach personal protection. It offers what no other handgun accessory can immediate targeting laser beam when you hold your gun in a natural firing grip. The innovation Instinctive Activation saves precious time when seconds count. 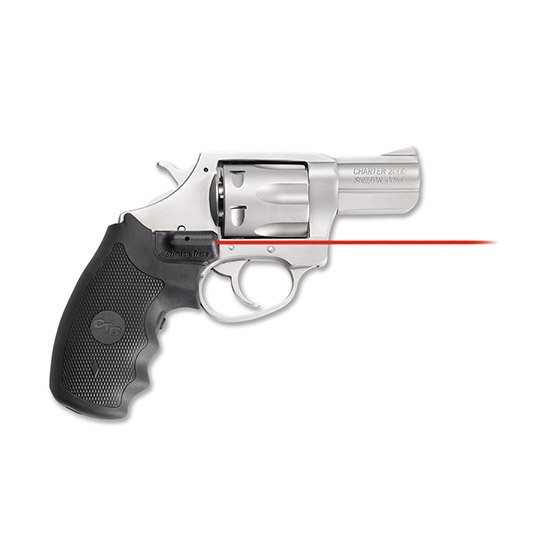 The Lasergrips features a master onoff switch are easily userinstalled with zero modification to your firearm and are completely useradjustable for windage and elevation.This red laser model is compatible with Ruger PSeries with metal frame. It is constructed of rubber.